You get the classic zorbing on land and soccer/football zorbing games, but now soccer zorbing on ice (not ice hockey) has made its way into the industry. Unlike traditional zorbing, soccer zorbing is done by dressing the players in the inflatable spheres that are roughly 12 feet in diameter (although at times it can vary) with only their legs sticking out. With zorb soccer on ice, the same idea applies, as do normal soccer rules, but the players are skating in a rink rather than running on a field or court. The only difference in the game is that, rather than a soccer ball, another giant zorb is used to score goals. This invention was introduced to the UK during the start of the 2018 Soccer World Cup in Russia when this globally loved game was all the hype. A rink in Queensway, London, created the concept in honor of the soccer championship. The rink, named “Queens: Skate, Dine, Bowl” offers matches where two teams of three players compete for the title. Being on ice makes this activity more thrilling and adds a minor feel of danger, even though any falls or bumps are cushioned by the zorb. As a result, soccer zorbing on ice is, in fact, safer than ice hockey. Zorb soccer on ice is not new to the industry, however. Australia, the US, and other destinations implemented the idea before it was brought to London and it has been a favorite for several years already. While it might seem like a daunting idea, it is popular for many events that suit traditional and other forms of zorbing well, such as birthday parties, outings with friends or family, team building, bachelor and bachelorette parties and many more. Once the game begins, players can’t help but be overcome with laughter and excitement, even in the event of falling on the ice. Until it was introduced by “Queens: Skate, Dine, Bowl” this game had never been done before in London. 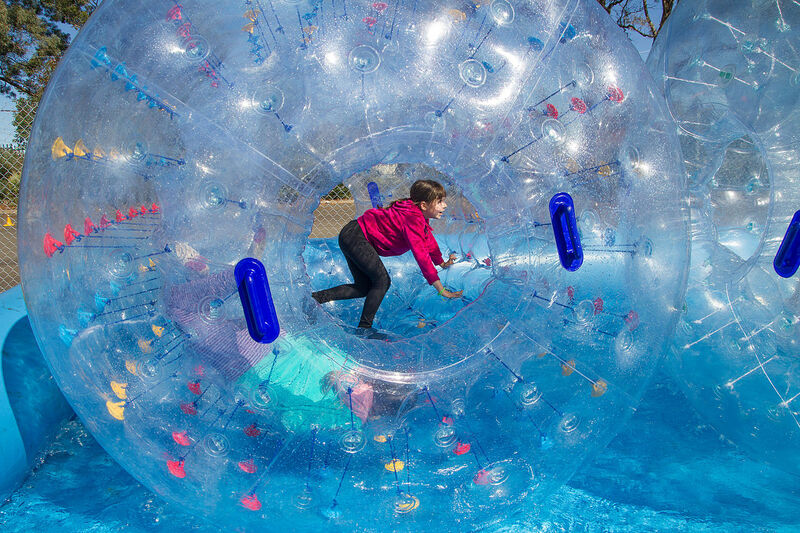 While it’s the only indoor rink in that area that offers this activity, it wouldn’t be surprising to see the idea spread as the zorbing industry grows. This is the perfect venture for those who love zorbing, ice skating and soccer all mixed into one game. Without these new sports innovation, the traditional sport could, in turn, appear dull and boring. This is a new way to challenge the body and mind.